Our underwear suggestion today is a great value for money, multipack of briefs! The 3 Pack Briefs by CODE 22 comprises three pairs of cotton blend made briefs in three different colours: Red, black and white with contrasting trims. The waistband in all three briefs is the red elasticated waistband you like from CODE 22 with white lettering centred at the front. 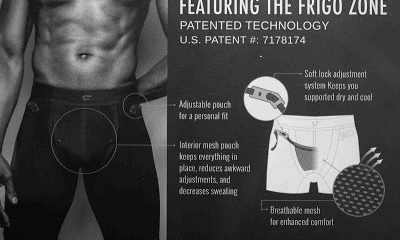 These briefs are super comfortable and perfect for everyday wear. Oh yes and they come at a very attractive multipack price!